On Monday, June 11, astronomers announced. the discovery of a new dwarf planet beyond Neptune's orbit. Temporarily named 2015 RR245 (scientists will end up thinking of something more catchy), little is known about the trans-Neptunian object. "It's either small and bright, or big and dull," said Michele Bannister of the University of Victoria, who is part of the discovery team. Until humans build more powerful telescopes, this could be the last dwarf planet in our solar system to be observed for a while. But it is good. There are four other planets already discovered in orbit around our Sun that you may not know (and many others that might one day be classified as such, especially 2007 OR10). Here they are. Located in the Kuiper Belt, Haumea is another discovery of Mike Brown. It was observed in 2003 and announced in 2005. 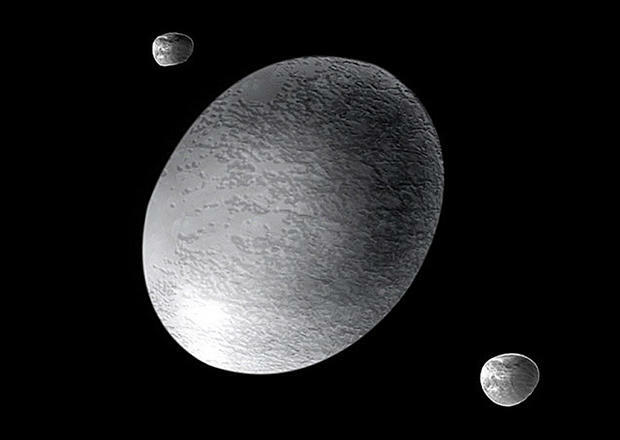 Haumea is one of the fastest rotating objects in the solar system, and has a result, it has a distinct oblong shape (NASA describes it as being shaped like cigar"). The dwarf planet bears the name of a Hawaiian goddess, and her moons, Hi'iaka and Namaka, bear the names of her daughters. Hi'iaka is the protective goddess of the island of Hawaii (and hula dancers), while Namaka is a spirit of water. (The unofficial and early name of Haumea among his discoverers was Santa, and his moons were Rudolph and Blitzen.) A single Haumean orbit takes 285 years from Earth. Its surface albedo (or reflectivity) evokes crystal clear water ice and many of them. The dwarf planet is as bright as snow, and up to 80% of its surface could be covered with ice. You have probably already visited Makemake, which is located in the Kuiper Belt and classified as a dwarf planet. Pronounced "mockey-mockey", the world has a day of 22.5 hours similar to that of the Earth, but its year is 310 bears. There is no atmosphere either. 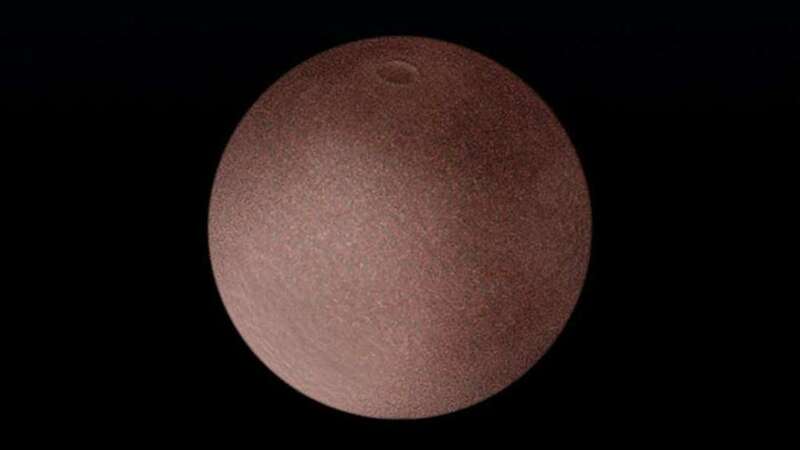 This lack of atmosphere was determined when Makemake crossed the face of a star, and surprised scientists, who expected him to be more similar to Pluto given his background between Pluto (who has a atmosphere) and Eris (who does not). Earlier this year, scientists using the Space Hub telescope discovered a dark moon orbiting Makemake. They call the moon S / 2015 (136472) 1. For its part, Makemake is named for a god in the Rapa Mui mythology of Easter Island. The subject of the Kuiper Belt was nickname among his discovery team was Easter Bunny. Ceres is the largest object of the asteroid belt and has been well explored by the Dawn spacecraft. Last week, NASA decided to expand Dawn's mission and see what happens when the mysterious Ceres reaches perihelion, the closest point to its elliptical orbit. Dawn's team had hoped to leave Ceres orbit and send the spacecraft to Adeona, another object in the asteroid belt. Dawn is already the first spacecraft to orbit two separate celestial bodies (Vesta and Ceres), and Adeona would have set the bar even higher for a future spacecraft in happy orbit. For what it's worth, Mike Brown did not discover Ceres, but it's probably because Guisseppe Piazzi, who spotted him first, was born two centuries earlier.